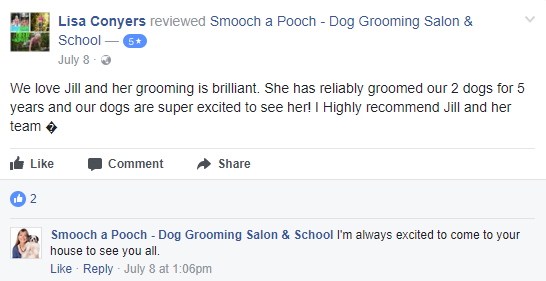 We would love to hear what you think of Smooch a Pooch services! 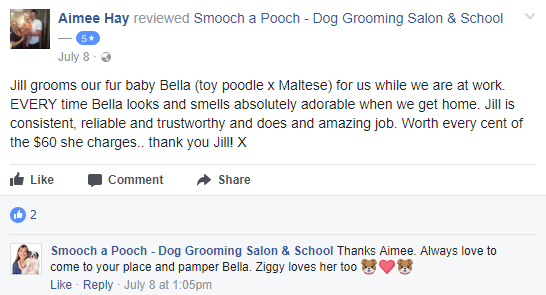 Please click the ‘Review’ button below to leave your testimonial and feedback. Thank you! 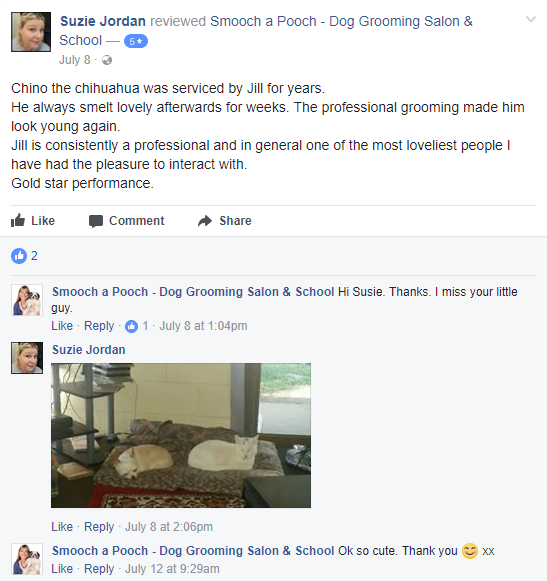 Thank you jill.I moved from.goldcoast had a gt groomer for 6 years. Our German Shepherd is quite particular about her hair cut and she can't wait to jump into the hydro bath & be trimmed. We simply refuse to use anyone else. Jill's professionalism and workmanship is second to none. 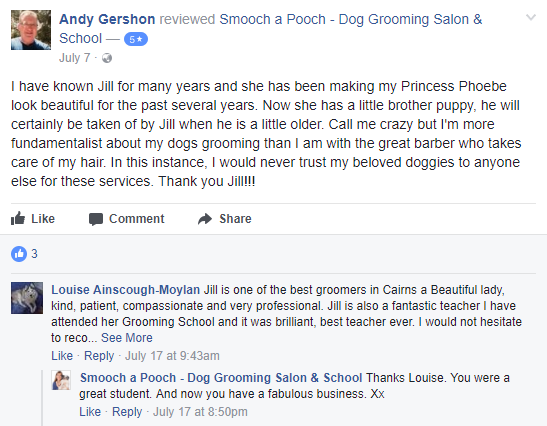 Previous cuts from other service providers have taken far too long and caused clip burn and cuts to my dogs which in turn causes them distress. 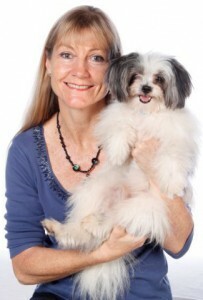 Jill's care & attention to our dogs is evident. 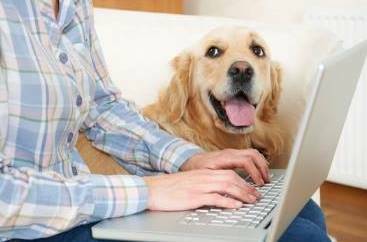 She is speedy, efficient and caring. 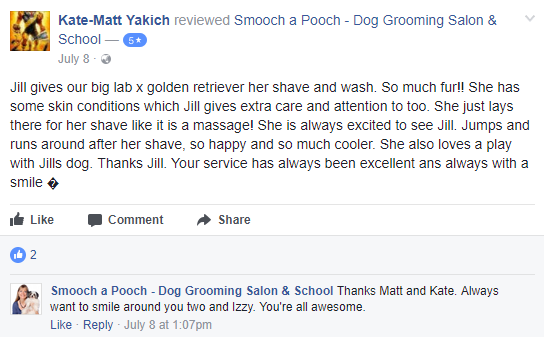 My little Mini Schauzer "Ruby" is not the easiest of dogs to groom due to a couple of bad experiences in the past, but what a breath of fresh air to find someone like Jill that is "really" good with the grooming tools - taking the time to calm and care for my little girl. 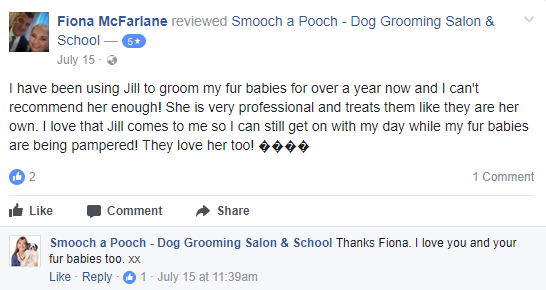 After some pretty bad experiences with dog groomers Smooch a Pooch was a big surprise. Fantastic service and for a great price. 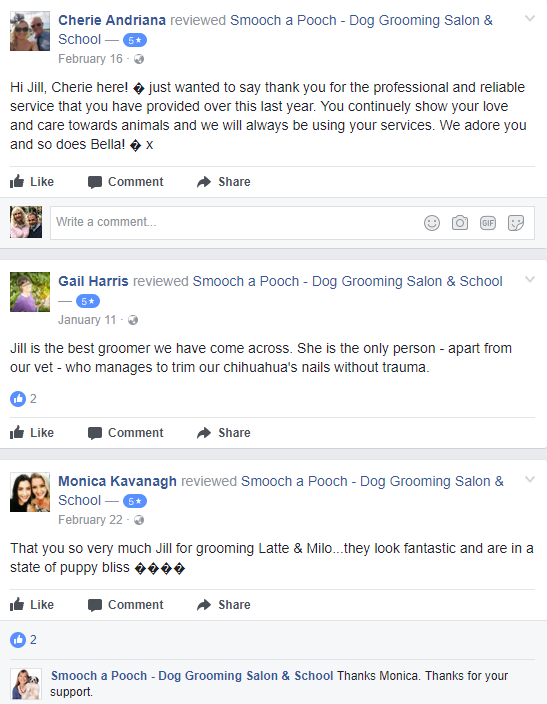 My pooches loved there day at the beauty salon and looked so good afterwards. Will be recommending you to all my friends.